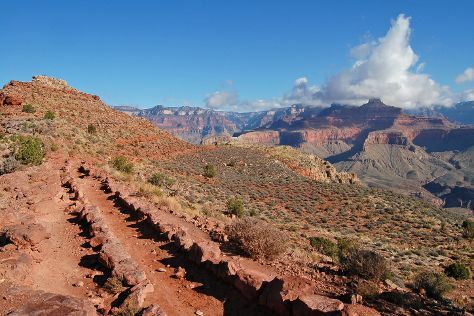 Step out of the city life by going to Rim Trail and Bright Angel Trail. Next up on the itinerary: hike along South Kaibab Trail, get great views at Hopi Point, see the world from above with a helicopter tour, and take in breathtaking views at Grand Canyon South Rim. To see ratings, reviews, more things to do, and tourist information, read our Grand Canyon National Park travel itinerary creator. In May, daytime highs in Grand Canyon National Park are 69°F, while nighttime lows are 32°F. Finish your sightseeing early on the 4th (Mon) to allow enough time to travel back home.